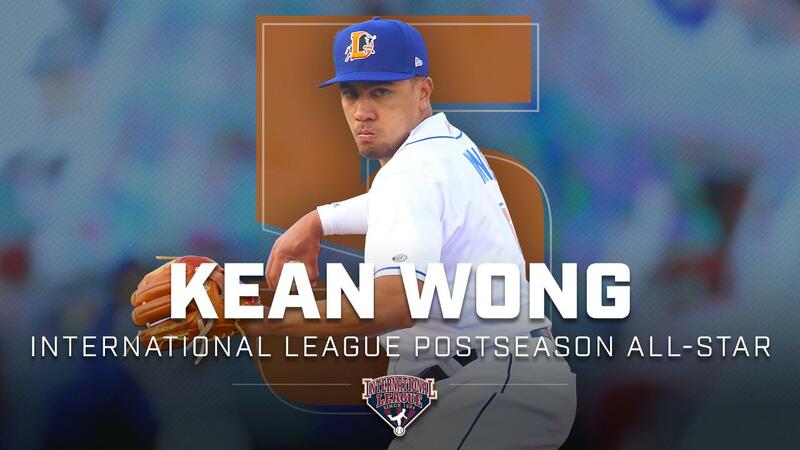 The International League has announced Durham Bulls utility player Kean Wong was named to the circuit's postseason All-Star team. The 23-year-old, who was named to the All-Star team as a utility player, ranks 10th in the International League in batting average (.284), ninth in runs scored (61) and 11th in on-base percentage (.349). Selected as an I.L. Midseason All-Star, Wong took home Triple-A All-Star Game Top Star honors when he tallied three hits (two doubles) and two RBI as the I.L. fell to the Pacific Coast League in the annual matchup. The native of Hilo, Hawaii reached base safely in 30 consecutive games from June 12 to July 18, and has not gone more than two consecutive games without reaching base safely this season. Additionally, the younger brother of St. Louis Cardinals second baseman Kolten Wong has tallied three separate hitting streaks of at least eight games this year. Wong has also showed his defensive versatility throughout the season, starting 69 games at second base, 22 in left field, 12 at third base and two in center field. Prior to the 2018 season, the Rays' 4th-round draft pick in 2013 had never played a position other than second base or third base. The 5-11, 190-pounder is the first Bull to earn I.L. Postseason All-Star honors since Taylor Motter did so in 2015, and is the 27th Durham player named to the team since the franchise joined the circuit in 1998.